Lefrik Roll backpack: What is it? Well, it's a backpack. But not just any backpack: this one is made out of eco-friendly fabrics that are woven from recycled plastic PET bottles. So far, so good. It's also conveniently very good looking, and very well-designed. The main compartment has a padded sleeve that'll fit laptops up to 15", while handy quick access pockets mean you can get to your smaller essentials – phone, wallet, ancient piece of chewing gum – with ease. What's more, the roll-top closure means, when you need it, the bag can go from 20 litre to 30 litre capacity, and it's fitted with super-strong magnets and a zip to keep all your junk secure. Lefrik Roll backpack: Why do I need it? The Roll backpack is a bit of a jack-of-all-trades – part commuter bag, part sleek weekender, and it'll also suit on days when you're heading out on longer walks and adventures. The recycled polyester shell is durable and waterproof, so you don't need to worry about your gear getting wet, and the padded straps keep things comfy, even when the bag gets heavy. Not to mention that buying a Lefrik product means you'll be reducing plastic waste going into landfill. 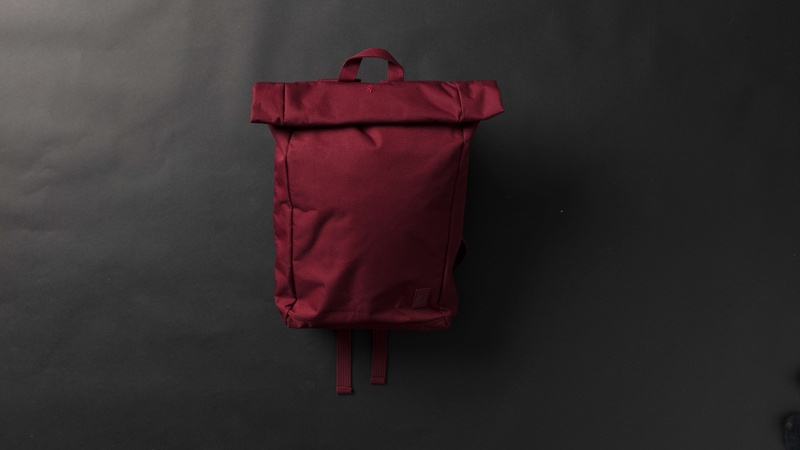 Lefrik Roll backpack: Should I buy it? It's big enough to hold gym kit and lunch boxes, was easy to cycle with and looked smart when we went out after work, which means it gets a 'yes' from us. So if you're looking to up your eco credentials without sacrificing style or functionality, this is definitely a bag for you. We also really liked the well-thought-out inner pockets (no more scrabbling around to find keys), and that the bag itself is super light. The only thing we'd worry about is it getting a bit grubby with cycling over time, so we'd advise getting it in a darker colour – we particularly like this gorgeous maroon number.